Was digging around past topics trying to answer some questions in my own practice. Reversal of the lokas vs. Purification, any insights on the difference between the two methods? There is a few older post but not much discussion. As I see it (probably wrong) reversal is about getting into the actual condition, with out trying to end anything. Purification is about ending the causes for said thing to arise. Am I completely off base here ? Firstly: on Samaya / the need to keep tantric practices secret. From the Dzogchen perspective the key Samaya is to be in Ati Guru Yoga 24/7. Not so easy but it is something to try for. 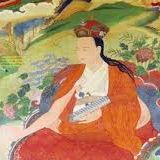 Dzogchen samaya is different than tantric samaya. For those of more traditional perspectives it is necessary to have the wang, lung and tri, empowerment, transmission / reading of the text, and oral explanation before entering into any practice, and certainly before entering into a discussion of it. perhaps it is ok to speak about these things in a way that is useful to curious newcomers and also fulfills the interests of experienced practitioners. There is an empowerment called the "Pei" wang, basically a bop on the head with the text of the practice that you wish to undertake. This is an accepted shortcut that you can ask a lineage holder for, and it transfers permissions to read the text and do the practice. Well what if you live in a place where there are no lineage holders and therefor no way to even receive a Pei Wang? This could be a show stopper for many / most people and so I gave this a lot of consideration over many years. It is accepted by all the Lamas that Ven Jigmed Lingpa received true empowerment and permissions from Ven. Longchenpa though they lived at different times, and in different places, through dream and visions. So maybe if you pray hard - very hard - to Ven. Jigmed Lingpa or Guru Rinpoche, or your own root teachers, maybe you can receive empowerment and permissions in the same way. No one can refute your individual experience. Of course it is better to go to a Lama and request teachings, but where this is not possible, remember Ven. Jigmed Lingpa and Ven. Longchenpa. I am not suggesting that you should take transmission in this way, but perhaps you could try it and see what happens. So to reply to Brian and also to respect the traditionalists who believe that it is a break of samaya to even mention the name of a practice without wang lung and tri, I will use words which will not be revealing the practice methods but will indicate the practice, to those of you reading this who have already received the transmission of these practices from a lineage holder. Those who have not received transmission will not find useful practice in these words, just curious ideas. It is sincerely suggested that if you want to practice the Purification of Vajra Sattva or the Purification of the Six Lokas, you will seek out a lineage holder and receive the full instructions. I pray that these awkward words will have this effect for new comers. I think that you might choose to not be focused on the concerns you voice in your post. Instead, having taken direct introduction from a Dzogchen Master, and received the wang, lung and tri for the Vajra Sattva Purification and the Purification of the Six Lokas then with the confidence that comes from having the encouragement and blessings of your teacher, you can undertake, and get the benefit of, these precious and powerful practices: integration with luminous bliss-clarity. Direct experience is the key take-a-way of Dzogchen practice. Both methods lead to the same result: the dissolution of karmic traces through integration into luminous bliss - clarity. In my experience, reversal of the six lokas is also named "Purification of the Six Lokas," and purification means the Vajra Sattva Purification. Assuming that this is what you are referring to, the following applies. The key point of the Purification of the Six Lokas practice, is to use the three syllables, both singly and all together, like an all powerful ray gun to blast the site of each of the 6 Lokas, both singly and all together into light. As you chant the mantra and visualize, it is an extremely powerful forcing of all of the disordered energy of the site of each of the 6 lokas into brilliant white light. Nothing remains but brilliant bright light. Then you rest in this for as long as the energy lasts. You should do at least a bum (100,000 repetitions) for each of the lokas and another for all at once. This is easier done in a dedicated retreat but you can also do this practice a little at a time while working in the world. You can pick up from where you left off and this works. In the purification of Vajra Sattva ( I am assuming that this is what you are talking about) it is a more gentle experience / practice, perhaps better suited to those of gentler styles. Here the key point is to relax into the decent of the bliss drops / dust and relax into this empty clarity - bliss for as long as it lasts. You can do at least a bum of the long VS and 5 bum of the short. For those who like forceful practices you can imagine the decent of the bliss like a mountain stream - very forceful. For those of gentler styles, you can imagine the decent as that of camphor dust falling in sunlight: very gentle sparkly stuff. You can try each style and see what works. The result of each practice is integration into luminous bliss - clarity. For each practice it is helpful to have an image of the object of visualization with the seed syllables in the right place. You might take the image to a Lama to have it blessed / authenticated. It is also helpful to have a card with just the relevant seed syllables for each practice. When I was learning the three syllables, I found it helpful to go to a Lama (ChNNR) and requested that he draw them in large thick fully formed letters, one above the other on a piece of cardboard. The letters being 2-3 inches in size and the overall cardboard around 24 inches in length. I then cut out the letters using an Exacto knife, placed white, red and blue stage gel (colored celluloid) behind each letter and then fastened the cardboard in front of a white florescent light so that the light shown only through the cut out letters and then seen as colored by the stage gel. This device is not necessary, but I found it to be an easy way to learn to visualize the letters. If you do the practices until you get results, then you will understand about "getting into the actual condition, with out trying to end anything," as well as "ending the causes for said thing to arise."